Recently invited to Daivor AW16 exclusive launch on the Top floor of the W Hotel in Leicester Square, London. 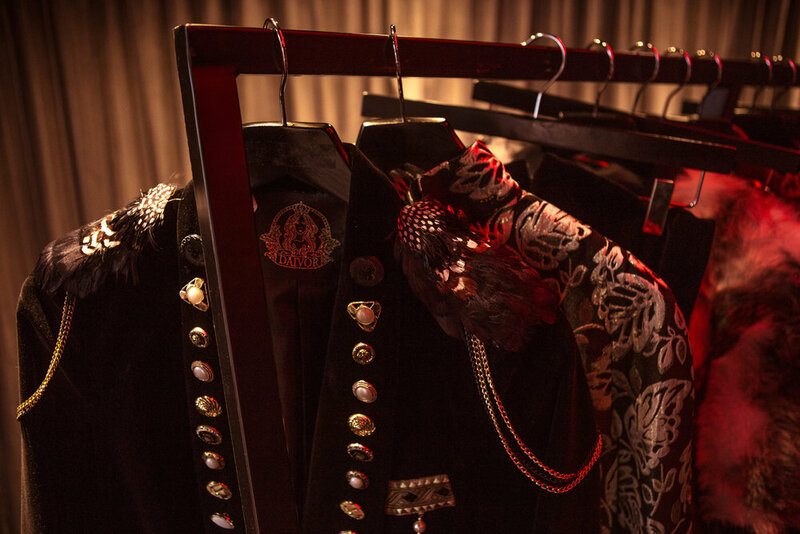 This luxury venue was the perfect complement to the striking and boldly sophisticated collection. Daisy Vorm (Middle) Founded DAIVOR in 2014, The creative director and fashion designer AW16 collection draws inspiration from the modern western world. The combination of Daivor Heavy embroidery and feathered detailing mixed with fabrics generates a seductive military twist with cultures that come together to form one collection. The rising label epitomises power dressing in the confident style of the brave, modern woman.